Well that’s a wrap on the much-anticipated inaugural Seventy48 Race! 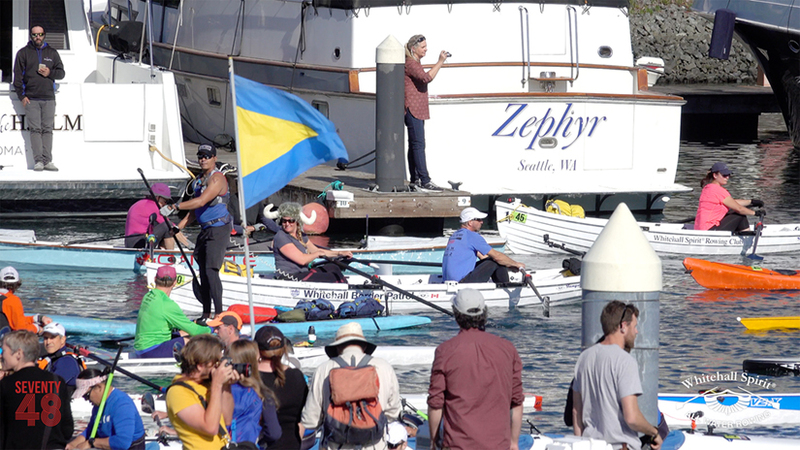 If you are not familiar with this event, the Seventy48 is a solely human powered open water race from Tacoma WA to Port Townsend WA. It covers a distance of seventy miles and teams have forty-eight hours to complete to the course, (hence the name, Seventy48). Check out the full video footage here! The race began on June 11 2018 at 5:30pm to correspond with the best tides and the whim of the ‘Race Boss’, Daniel Evans. 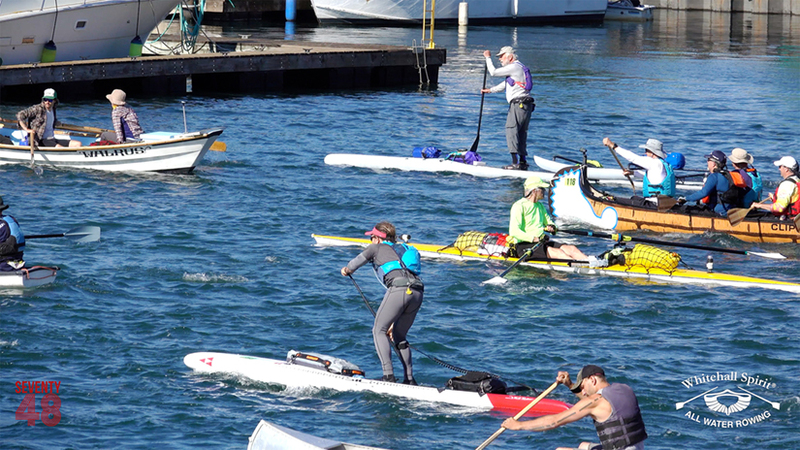 Right on time, a horde of 123 boats, rowers, paddleboards, kayakers and even a prone boarder, all headed on an ebbing tide down Foss Waterway and into late afternoon sun. “The starting line was like the wild west, it was organized chaos” says Diana Lesieur of Team Whitehall Border Patrol. There were various strategies in place, some teams packed all their camping gear, planning to make the most of the 48 hours they were given, stopping over the darkest parts of the night and getting some much needed rest. 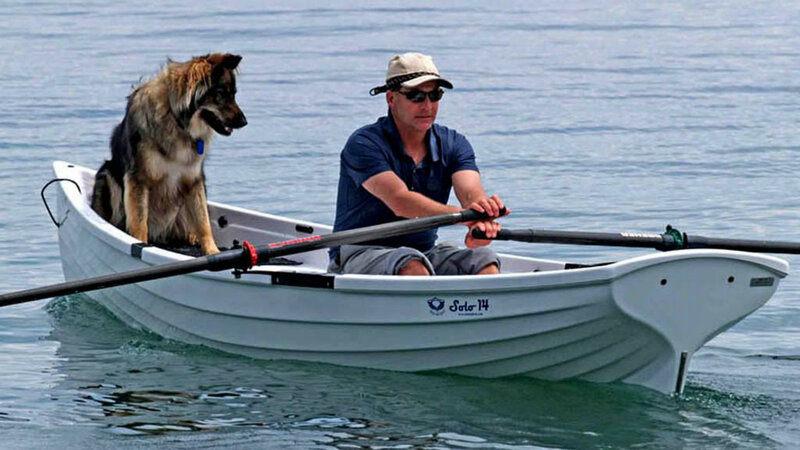 Others, like Team Whitehall Border Patrol with Diana and her rowing partner Peter Vogel, had a more direct plan, row straight through the night, determined to make Port Townsend as quickly as possible. 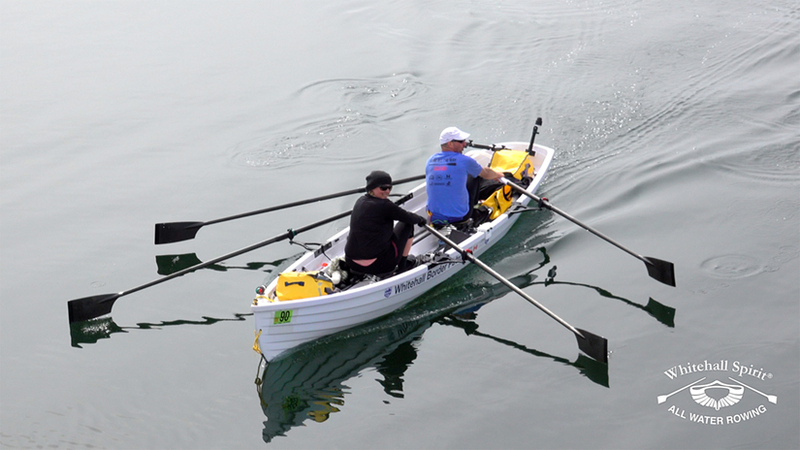 The first team to reach the finish line was Team Epic, made up of Greg Barton and Kevin Olney from Bellingham WA in their Epic V-10 Double Surfski. 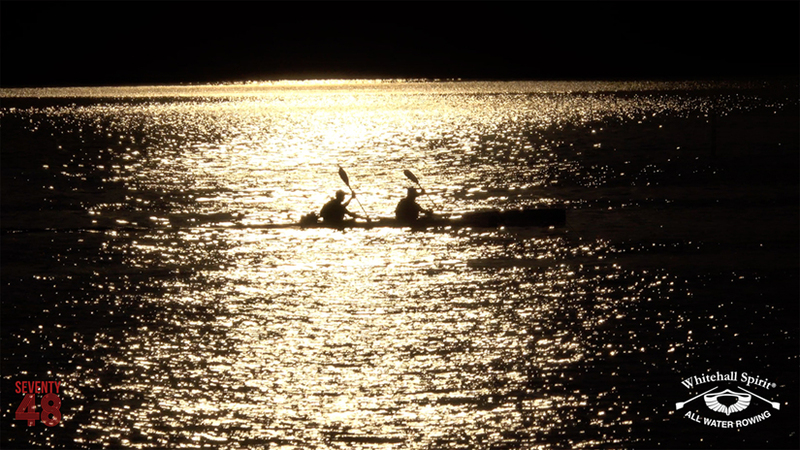 They paddled into town at 3:09am making the full seventy-mile run in 9 hours 39 minutes. A truly ‘epic’ achievement at a grueling 7.5 knot average, they demonstrated almost superhuman stamina! 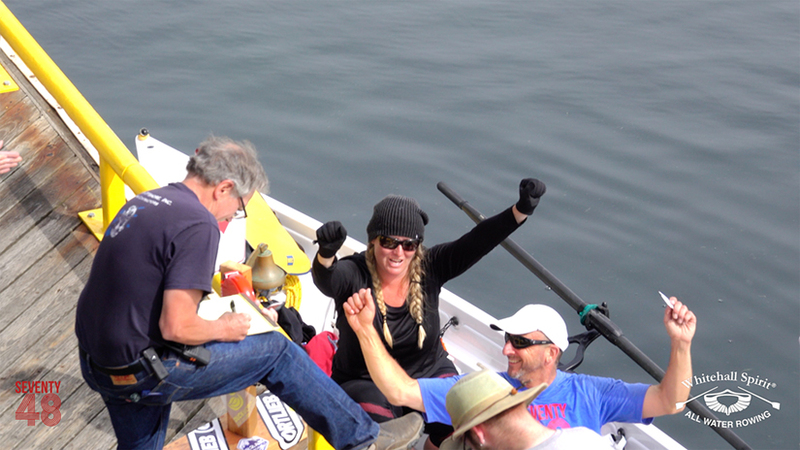 Diana and Peter also pulled off an impressive time coming into the dock at Port Townsend at 10:19 am on June 12th in 26th place out of the 99 that actually completed the course. 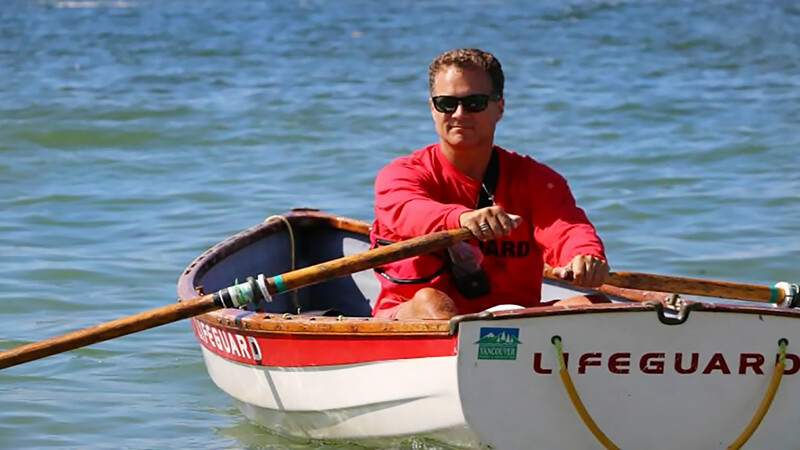 Just a nice easy sixteen hour and forty-nine minute row through the night in some of the most intense tidal currents in the Pacific Northwest, complete with reefs, rocks, and marine traffic…maybe not so easy! Diana describes the race in one word, “intense”. 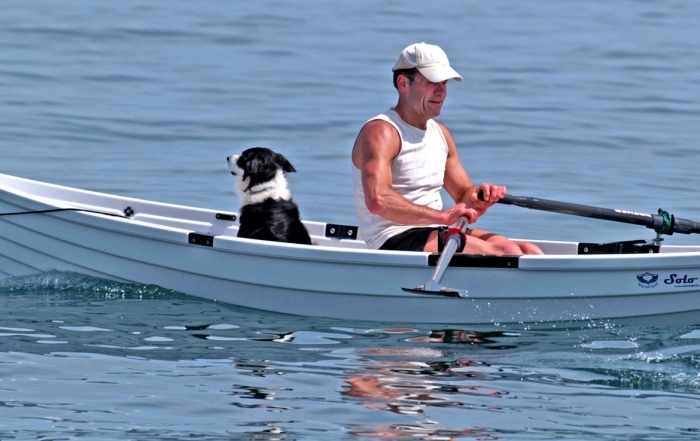 The trickiest part of the row according to Diana was “navigating through the Washington State ferry lanes in the dark”. 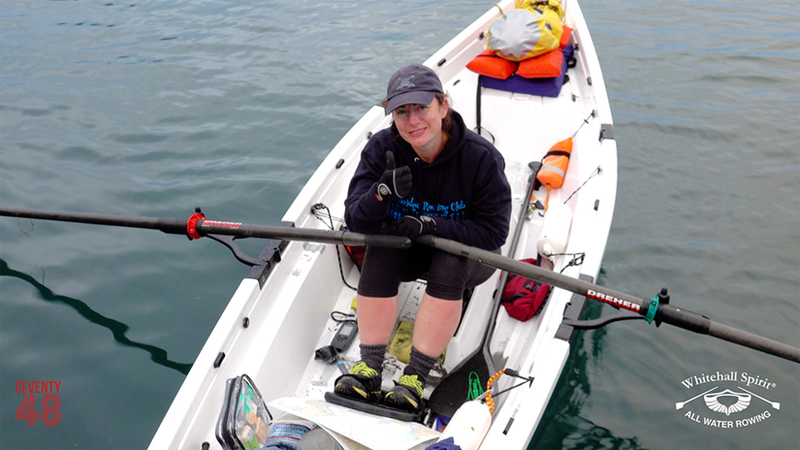 Rowing the majority of the race in the dark provided a new challenge, “rock encounters when rowing close to shore were a bit freaky, luckily we carried a high powered spotlight, which was useful for signalling ferries and spotting exposed rocks during the night” Diana says. 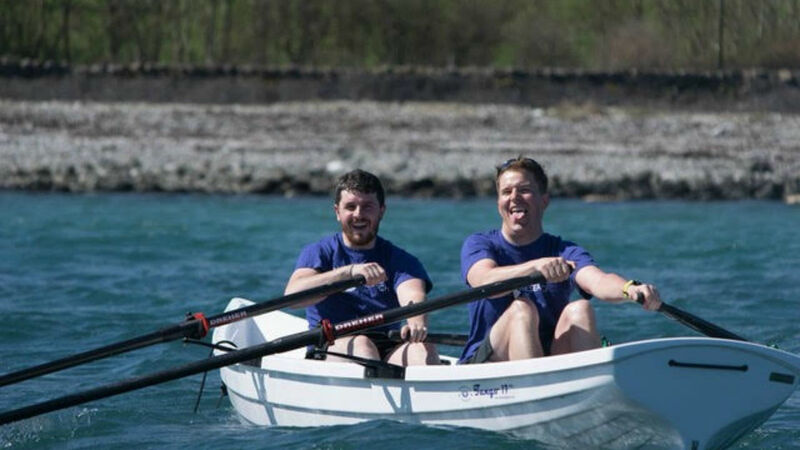 Diana and Peter were not the only Whitehall Spirit® rowboat represented in the Seventy48. 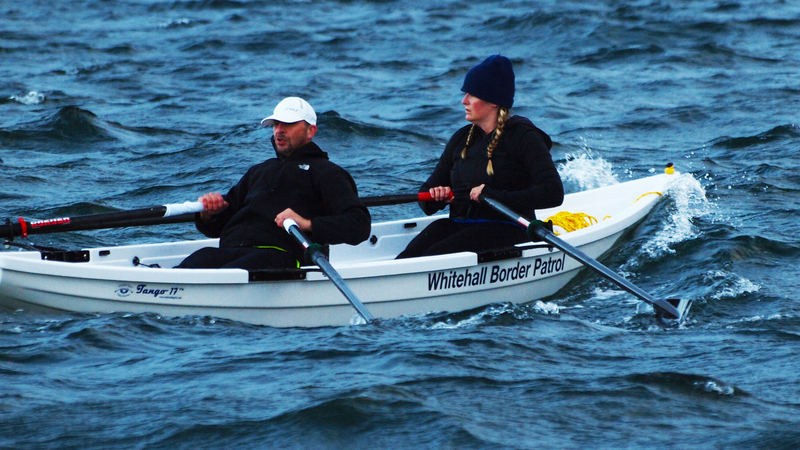 While Diana and Peter made their way north in the Tango 17, Catherine Allaway, from Weybridge, Surrey in the UK came all the way over just to hop in a Whitehall Spirit® Solo 14 and row it in the Seventy48 race. While Diana and Peter rowed through the night, Catherine attempted a few hours rest on a small island, which turned out to be the home to what appeared to be rival gangs of raccoons. So rest might be a bit of a stretch, but she did get a few hours off the water giving the tide a chance to change back to her advantage before she was off again. 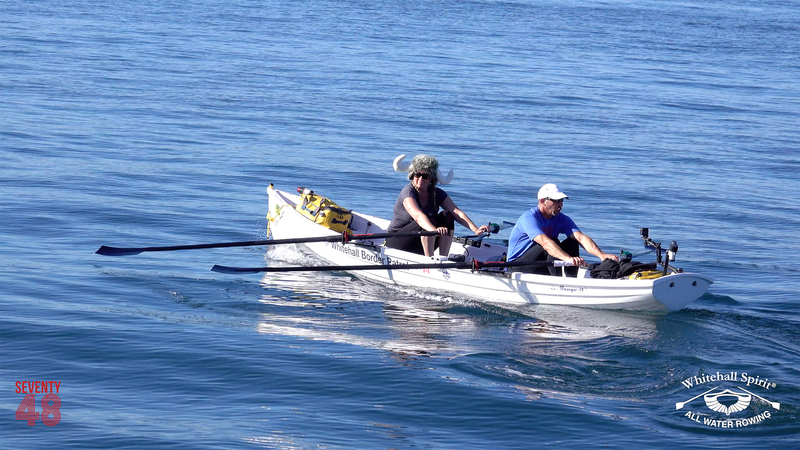 Catherine rowed into Port Townsend at 8:54 pm on June 12th in 66th place. Not bad out of 123 starters! 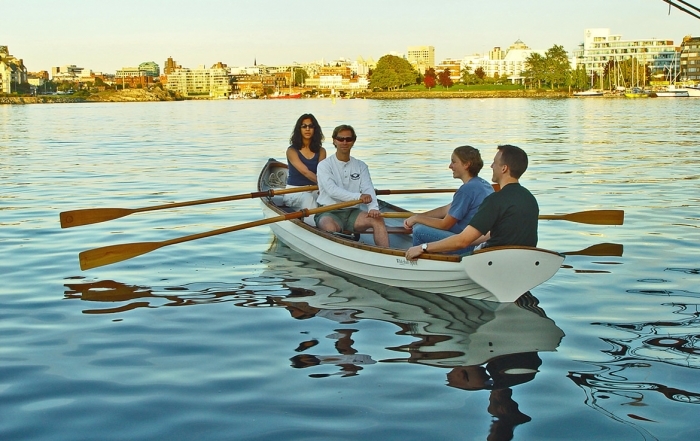 While this was the only race for Catherine on this trip, Diana and Peter were still separated from their home port of Victoria B.C. 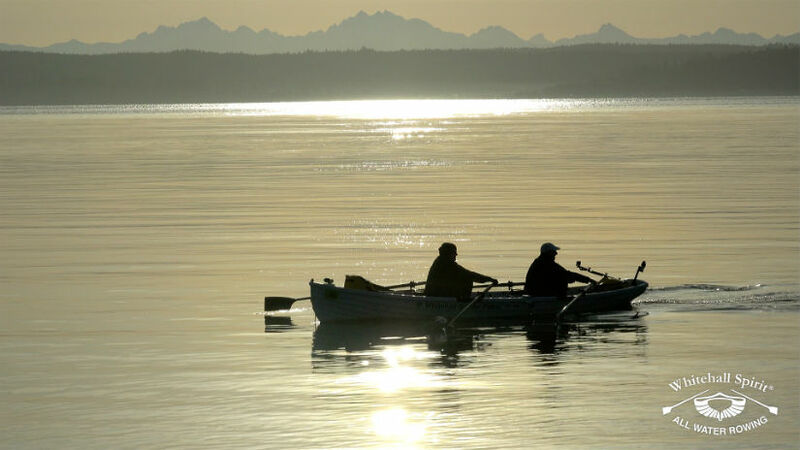 by 40 miles of open water across the mighty Strait of Juan de Fuca. 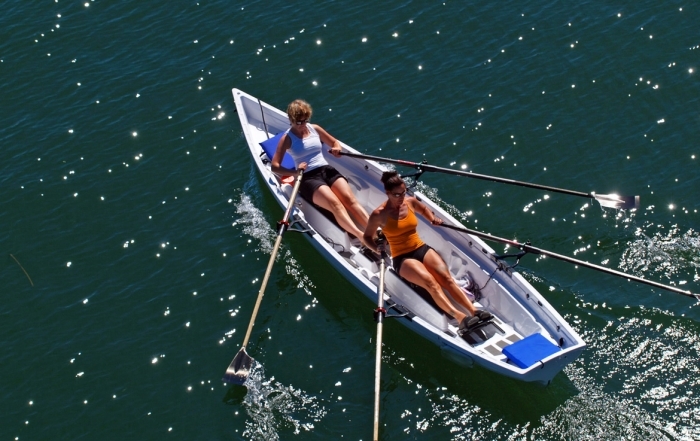 Lucky for them Leg 1 of the R2AK was kicking off in just over 24 hours!